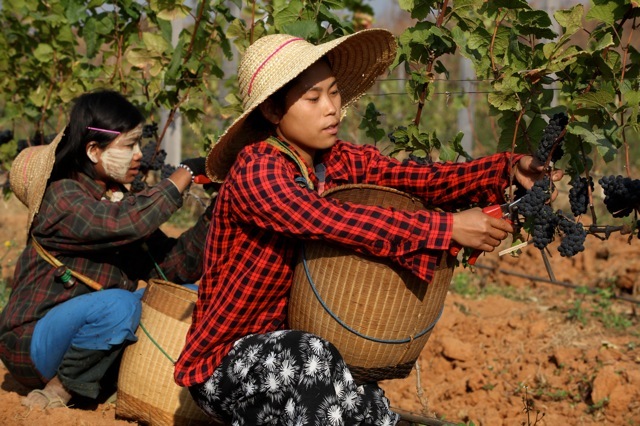 Myanmar produces award-winning wine but its reputation as a winemaking country is decidedly low-key. Most diners react suspiciously when a bottle of Myanmar wine is presented to them in a restaurant, according to local winemaker Francois Raynal. Although pleasant surprise generally follows the first sip, few inside Myanmar are aware of its budding wine industry and it’s practically an unknown entity internationally. This is in spite of the fact that two locally produced wines, Aythaya and Red Mountain, have been praised by critics and are said to be of the same calibre as Old World wines – that is, wines produced in the traditional wine-growing areas of Europe. Red Mountain’s sauvignon blanc 2010 scored an impressive 83 out of 100 from the highly respected wine critic Jeannie Cho Lee, while the 2010 chardonnay received a bronze medal in the World’s Best Chardonnay Competition 2013. Mr Raynal, who is Red Mountain’s vineyard manager and winemaker, is eagerly awaiting the results for the World’s Best Muscat competition. The country’s first vineyard was established in 1998 under the somewhat unimaginative name Myanmar 1st Vineyard Estate. Its Aythaya wines appeared in 2004, following lengthy trials on 10,000 vines imported from France. 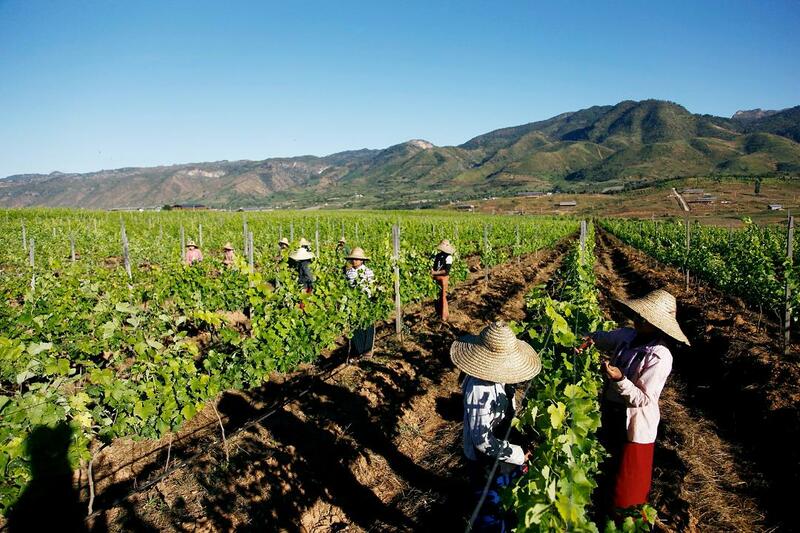 Today it produces eight different wines and visitors can stay at the vineyard in the decidedly Italian-sounding Monte Divino Lodge, which is 25 kilometres north of Inle Lake, and at an altitude of 1200 metres. Aythaya was founded by a German winemaker called Bert Mosbach, who is considered the pioneer of winemaking in Myanmar. Red Mountain, also located near Inle Lake in Shan State, followed suit in 2010. It currently markets 11 different wines. He said that high quality wines from Thailand and India have succeeded in cementing their reputation by following this formula. 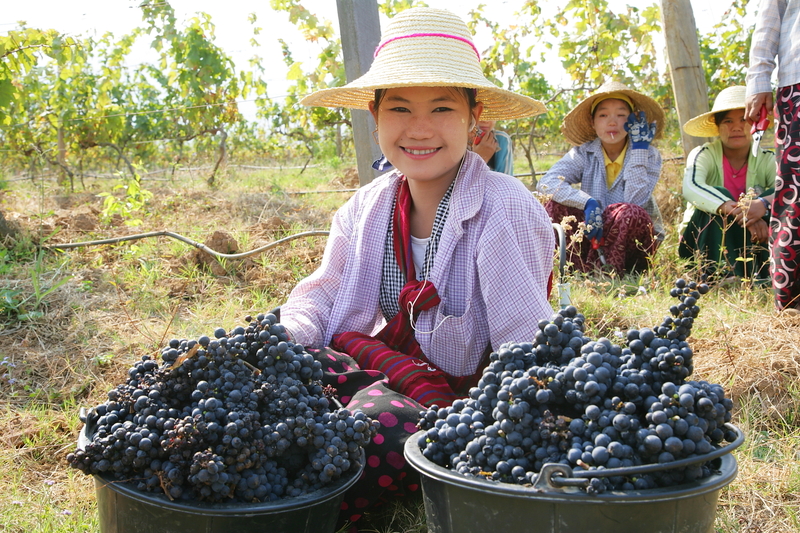 But until significant inroads are made, wineries in Myanmar will continue to be almost wholly reliant on local consumers. Mr Raynal has found that tourists are just as keen to sample local wines as they are to try local foods. “They can find French or Chilean wines at home but they can only find our wines here,” he said. Sadly, although Red Mountain has recently seen “an incredible increase of the demand for our wines” due to the easing of sanctions and the development of tourism, it seems that locals are less excited about the prospect of home-grown wine. The Warehouse is a French company based in Vietnam, where it has five outlets. Its Yangon store sells wine from nine different countries, none of which include Myanmar. He said customers rarely ask for Myanmar wine. He hopes this will change as people become better acquainted with New World wines, such as Chilean or Australian. The manager of Monsoon Restaurant in Yangon’s Botataung township, David Aung Win, told The Myanmar Times that local wines have been on the menu for several years, but that wine itself remains unpopular among locals. Although Red Mountain and Aythaya are leaps and bounds ahead of the rest in terms of market share, several smaller wineries are emerging. Pyin Oo Lwin boasts a handful, as its climate is similarly cool and its altitude high. At a locally owned winery in Pyin Oo Lwin called Ngwe Nan Taw (Silver Palace Wine), winemaker Sai Aung Kham Oo is taking a rather experimental route by producing damson wine. Damson is a stone fruit which resembles a plum and the resulting wine has a higher level of acidity than grape wines. Sai Aung Kham Oo spent two years at Aythaya winery learning production processes and was mentored by winemaker Hans Leiendecker of Aythaya. Winemaking equipment was imported from Germany in 2008. The fruit is collected from surrounding villages, as well as from northern and southern Shan state, and even China. Mr Gastin hasn’t sampled a damson wine, but he said that fruit-based wines (such as strawberries and blueberries) are a long established tradition in Asian countries, although not a big category internationally. “Mostly they don’t match Western palate preferences, and sometimes they rely on added sugar to balance out the natural acidity to be palatable, and even added colouring to be more attractive,” Mr Gastin said. Lotti, who spent a year studying winemaking in Australia, wasn’t confident that the damson wine would succeed if exported. She suggested that damson wine would make a good alternative to a white wine at lunch with a noodle or tea leaf salad. But although “it definitely has a novelty factor, whether it would sell overseas is questionable,” she concluded. Mr Mosbach said that Aythaya wine has been exported to China’s Yunnan province since 2008, because it has the most liberal import regulations policies of any neighbouring country. Incidentally, Thailand is the worst, with taxes and duties accounting for 450 percent. Secondly, although the Myanmar Investment Council (MIC) has urged Aythaya to bump up its export volume, wine is taxed at the same rate as spirits despite the fact it has a lower alcohol content. “Wine, with its 12-13pc alcohol content, is taxed at the same rate of 50pc as spirits, which have a 42-45pc alcohol content. That’s not fair and we are suffering,” Mr Mosbach said. Red Mountain has a client in Japan but export volumes remain low. “We try to focus on the local market for two main reasons: firstly, the international market is very competitive. There are very cheap wines from France, Chile and Australia with a good quality-price ratio. With our high production costs we aren’t competitive,” Mr Raynal said. The other reason, he said, is that Myanmar wines are yet to build a reputation internationally. People simply don’t associate the golden land with wine production. With so many hurdles in local winemakers’ paths and an undeservedly low-key reputation, why not support the local wine industry by drinking a glass or two today?